In 2009 I stumbled across a little book that changed my life. The title left me skeptical but I felt like I was at the end of my rope. I tried everything but now I was in the middle of the worst relapse I’d ever experienced in my decade diagnosis with CFS. I was scared—really scared. 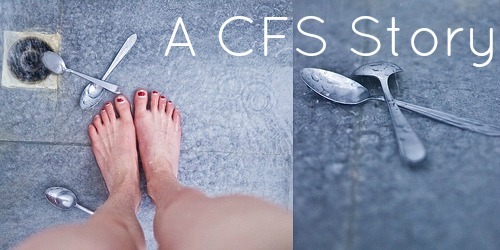 I knew that CFS leaves some bedridden and I was only 25 years old. I found nothing inherently profound in Dr. T’s FF2F. It was simple, straight forward and made sense. Something in my foggy brain clicked in those pages. For years prior I’d tried everything under the sun, ran test after test, saw specialists a plenty, and delved into the research. Yet I still felt like I couldn’t explain CFS—so much so that I never shared my diagnosis with others because I didn’t know how to explain it. I was in the CFS closet. It felt like I laid out a puzzle with 1,000 pieces but had no idea how to begin to put the thing together. That book jumpstarted me on putting the puzzle together to see the larger picture. It lit a fire under me to take control of my health. I started to believe it was possible. I stopped entertaining the doctors and skeptics who told me to cope and learn to live with it. The illness defined the adult I became but it would not control me. Well-read and housebound from my small Pittsburgh suburb, my answers lay over the Allegheny River. I’m still amazed at how quickly I improved. Ill for a decade and immediate relief after the first visit—it was nothing short of miraculous. How could this be? Dr. L knew how to tackle the puzzle. She aimed the hose right at the fire while others were busy hand-waving. Now, I won’t fool you. It was a process! For 2 years we meticulously refined the process. In collaboration, we got my life back. Correct small intestinal bowel overgrowth (SIBO). Improve sleep through natural and Rx sleep aides. Reduce cellular stress and mitochondrial damage through nutritional IVs, IV glutathione, intramuscular B12, & immunoglobulin. Further improve mitochondrial health and cell function through basic supplementation. Repair intestinal mucosa from dysbiosis using botanicals and anti-microbial supplements. Through all of this I was 80% improved. I was no longer scared of devastating relapse. I had CFS under my thumb. Nonetheless, I wanted more. I attempted a more difficult puzzle. I looked better. I felt better. People started to notice. But the fatigue was still always there, lying dormant. My puzzle became more difficult when I widened the lens. I delved into deep, deep biochemistry, functional medicine, ancestral health, nutritional science, mitochondrial medicine. I was building on the foundation I had already set for this illness. The picture became far more complex yet approachable. In time, all the residual fatigue, brain fog, malaise, digestive problems, headaches, orthostatic intolerance…gone. Feeling well led to a strange transition in my life. Good health was such a foreign concept for most of my life and I didn’t know how to utilize this new energy currency. I tried to go on with things—continue my chiropractic practice focusing on pain management and rehabilitation—but something was missing. I could go on in quiet reverence of my ill past, or I could devote myself to advancing solutions to this illness. It is my hope to continue to carefully unravel the mysteries of CFS and find better and better methods to restore health. I encourage YOU to become an active CFS patient and believe that health is possible. The puzzle can be put together.